11 July 2016 - New updates Celebrity Hall. But, its not same like the original Celebrity Hall in Official server. Because the Original Celebrity Hall is not working on private server. So, today We make custom made Celebrity Hall for Raiser Online player. But there are certain conditions to enter Celebrity Hall. This Celebrity Hall work like the original Celebrity Hall, you can challenge the Celebrity statue and make your own statue!Only 10 Celebrity Hall Statue are available at this moment. We will upgrade more soon. 1:- Find Judge at Cronus. 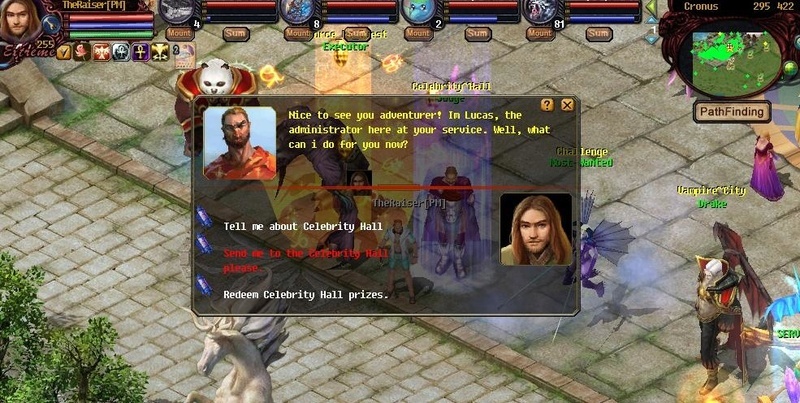 Talk with him to know information about Celebrity Hall and you can enter the Celebrity Hall. 2:- Enter the Celebrity Hall. You can choose the statue to challenge. 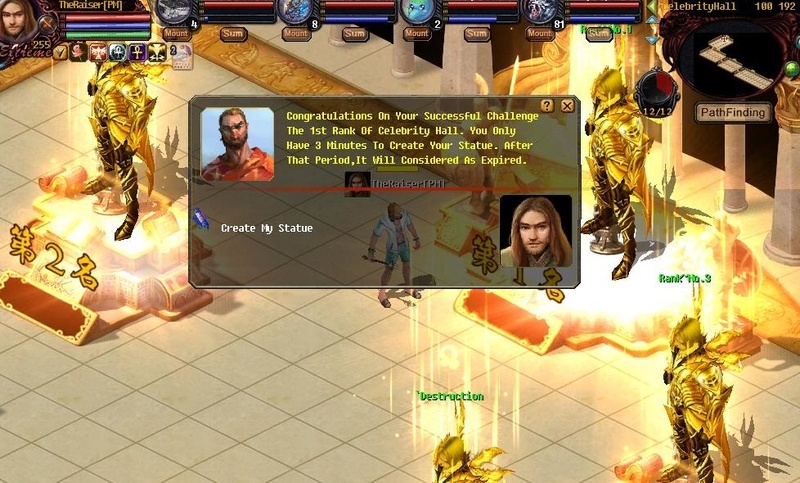 3:- After you challenge the Celebrity statue, you will send to Arena map. On this map you will automaticaly change PK mode. You must fight with your challenge for 5 minutes. For the owner on the statue must enter the Celebrity statue to defend the statue. 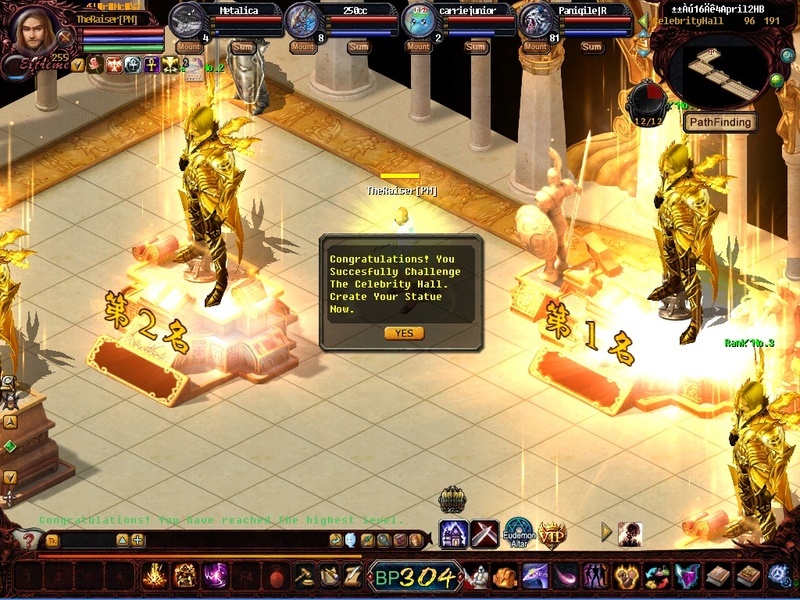 4:- Only 1 Player in the Arena map can out and win the statue. 6:- Collect the (HallPoint) by winning the statue! 7:- Check the prizes on the Judge at cronus..